Vilfredo Federico Damaso Pareto (born Wilfried Fritz Pareto; Italian: [vilˈfreːdo paˈreːto]; 15 July 1848 – 19 August 1923) was an Italian engineer, sociologist, economist, political scientist, and philosopher, now also known for the 80/20 rule, named after him as the Pareto principle. He made several important contributions to economics, particularly in the study of income distribution and in the analysis of individuals' choices. He was also responsible for popularising the use of the term "elite" in social analysis. "His legacy as an economist was profound. Partly because of him, the field evolved from a branch of moral philosophy as practised by Adam Smith into a data intensive field of scientific research and mathematical equations. His books look more like modern economics than most other texts of that day: tables of statistics from across the world and ages, rows of integral signs and equations, intricate charts and graphs." Pareto was born of an exiled noble Genoese family in 1848 in Paris, the centre of the popular revolutions of that year. His father, Raffaele Pareto (1812–1882), was an Italian civil engineer and Ligurian marquis who had left Italy much like Giuseppe Mazzini and other Italian nationalists. His mother, Marie Metenier, was a French woman. Enthusiastic about the 1848 German revolution, his parents named him Fritz Wilfried, which became Vilfredo Federico upon his family's move back to Italy in 1858. In his childhood, Pareto lived in a middle-class environment, receiving a high standard of education. In 1869, he earned a doctor's degree in engineering from what is now the Polytechnic University of Turin (then the Technical School for Engineers). His dissertation was entitled "The Fundamental Principles of Equilibrium in Solid Bodies". His later interest in equilibrium analysis in economics and sociology can be traced back to this paper. He did not begin serious work in economics until his mid-forties. He started his career a fiery liberal, besting the most ardent British liberals with his attacks on any form of government intervention in the free market. In 1886 he became a lecturer on economics and management at the University of Florence. His stay in Florence was marked by political activity, much of it fueled by his own frustrations with government regulators. In 1889, after the death of his parents, Pareto changed his lifestyle, quitting his job and marrying a Russian, Alessandrina Bakunina. She left him in 1902 for a young servant. One of Pareto's equations achieved special prominence, and controversy. He was fascinated by problems of power and wealth. How do people get it? How is it distributed around society? How do those who have it use it? The gulf between rich and poor has always been part of the human condition, but Pareto resolved to measure it. He gathered reams of data on wealth and income through different centuries, through different countries: the tax records of Basel, Switzerland, from 1454 and from Augsburg, Germany, in 1471, 1498 and 1512; contemporary rental income from Paris; personal income from Britain, Prussia, Saxony, Ireland, Italy, Peru. What he found – or thought he found – was striking. When he plotted the data on graph paper, with income on one axis, and number of people with that income on the other, he saw the same picture nearly everywhere in every era. Society was not a "social pyramid" with the proportion of rich to poor sloping gently from one class to the next. Instead it was more of a "social arrow" – very fat on the bottom where the mass of men live, and very thin at the top where sit the wealthy elite. Nor was this effect by chance; the data did not remotely fit a bell curve, as one would expect if wealth were distributed randomly. "It is a social law", he wrote: something "in the nature of man". At the bottom of the Wealth curve, he wrote, Men and Women starve and children die young. In the broad middle of the curve all is turmoil and motion: people rising and falling, climbing by talent or luck and falling by alcoholism, tuberculosis and other kinds of unfitness. At the very top sit the elite of the elite, who control wealth and power for a time – until they are unseated through revolution or upheaval by a new aristocratic class. There is no progress in human history. Democracy is a fraud. Human nature is primitive, emotional, unyielding. The smarter, abler, stronger, and shrewder take the lion's share. The weak starve, lest society become degenerate: One can, Pareto wrote, 'compare the social body to the human body, which will promptly perish if prevented from eliminating toxins.' Inflammatory stuff – and it burned Pareto's reputation. Pareto had argued that democracy was an illusion and that a ruling class always emerged and enriched itself. For him, the key question was how actively the rulers ruled. For this reason he called for a drastic reduction of the state and welcomed Benito Mussolini's rule as a transition to this minimal state so as to liberate the "pure" economic forces. In the first years of his rule Mussolini literally executed the policy prescribed by Pareto, destroying political liberalism, but at the same time largely replacing state management of private enterprise, diminishing taxes on property, favoring industrial development, imposing a religious education in dogmas. Karl Popper dubbed him the "theoretician of totalitarianism", but there is no evidence in Popper's published work that he read Pareto in any detail before repeating what was then a common but dubious judgment in anti-fascist circles. It is true that Pareto regarded Mussolini's triumph as a confirmation of certain of his ideas, largely because Mussolini demonstrated the importance of force and shared his contempt for bourgeois parliamentarism. He accepted a "royal" nomination to the Italian senate from Mussolini. But he died less than a year into the new regime's existence. But many modern historians reject the notion that Pareto's thought was essentially fascistic or that he is properly regarded as a supporter of fascism. Pareto turned his interest to economic matters and he became an advocate of free trade, finding himself in difficulty with the Italian government. His writings reflected the ideas of Léon Walras that economics is essentially a mathematical science. Pareto was a leader of the "Lausanne School" and represents the second generation of the Neoclassical Revolution. His "tastes-and-obstacles" approach to general equilibrium theory were resurrected during the great "Paretian Revival" of the 1930s and have influenced theoretical economics since. "The Circulation of Elites," pp. 551–557. "The Use of Force in Society," pp. 589–597. "Combinations and Group Persistence," pp. 780–786. "On Logical and Non-Logical Action," pp. 1061–1062. "On the Equilibrium of the Social Systems," pp. 1288–1291. "Cycles of Interdependence," pp. 1381–1385. "The New Theories of Economics," Journal of Political Economy, Vol. 5, No. 4, Sep., 1897. ↑ On Mosca and Pareto. Librairie Droz. 1972. p. 66. ↑ Mandelbrot, Benoit; Richard L Hudson (2004). The (mis)behavior of markets : a fractal view of risk, ruin, and reward. New York: Basic Books. p. 153. 1 2 3 4 5 Amoroso, Luigi (January 1938). 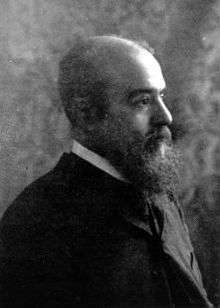 "Vilfredo Pareto". Econometrica. 6 (1): 1–21. doi:10.2307/1910081. JSTOR 1910081. ↑ van Suntum, Ulrich (2005). The Invisible Hand. Springer. p. 30. ISBN 3-540-20497-0. ↑ Mandelbrot, Benoit; Richard L Hudson (2004). The (Mis)behavior of Markets :A Fractal View of Risk, Ruin, and Reward. New York: Basic Books. ↑ Richard Bellamy, "From Ethical to Economic Liberalism – The Sociology of Pareto's Politics", Economy and Society vol. 19, no. 4, 1990, pp. 431–55. ↑ Renato Cirillo, "Was Vilfredo Pareto Really a 'Precursor' of Fascism? ", The American Journal of Economics and Sociology 42.2 (2006), 235–46. "Abstract. Vilfredo Pareto has been labeled a fascist and 'a precursor of fascism' largely because he welcomed the advent of fascism in Italy and was honored by the new regime. Some have seen in his sociological works the foundations of fascism. This is not correct. Even fascist writers did not find much merit in these works, and definitely condemned his economic theories. As a political thinker he remained a radical libertarian till the end, and continued to express serious reservations about fascism, and to voice opposition to its basic policies. This is evident from his correspondence with his close friends. There are strong reasons to believe that, had he lived long enough, Pareto would have revolted against fascism." —See also Stuart L. Campbell, "The Four Paretos of Raymond Aron", Journal of the History of Ideas, 47 (1986), 287–98. ↑ "The Encyclopedia Sponsored by Statistics and Probability Societies". StatProb. 1923-08-19. Retrieved 2015-11-04. ↑ "Vilfredo Pareto - An Overview". Jkalb.freeshell.org. Retrieved 2015-11-04. ↑ Eatwell, Roger; Anthony Wright (1999). Contemporary Political Ideologies. London: Continuum. pp. 38–39. ↑ Borkenau, Franz (1936). Pareto. New York: John Wiley & Sons. p. 18. 1 2 Renato Cirillo, "Was Vilfredo Pareto Really a 'Precursor' of Fascism? ", The American Journal of Economics and Sociology 42.2 (2006), 235–46. ↑ Aspers, Patrik (April 2001). "Crossing the Boundary of Economics and Sociology: The Case of Vilfredo Pareto". The American Journal of Economics and Sociology. 60 (2): 519–545. doi:10.1111/1536-7150.00073. JSTOR 3487932. V. Pareto, Cours d’Economie Politique. Droz, Geneva, 1896. Amoroso, Luigi. "Vilfredo Pareto," Econometrica, Vol. 6, No. 1, Jan., 1938. Cirillo, Renato. "Was Vilfredo Pareto Really a 'Precursor' of Fascism?," The American Journal of Economics and Sociology, Vol. 42, No. 2, Apr., 1983. Eisermann, G.(2001). "Pareto, Vilfredo (1848–1923)", International Encyclopedia of the Social & Behavioral Sciences, pp. 11048–11051. Abstract. Livingston, Arthur. "Vilfredo Pareto: A Biographical Portrait," The Saturday Review, May 25, 1935. Millikan, Max. "Pareto's Sociology," Econometrica, Vol. 4, No. 4, Oct., 1936. Forte F., Silvestri P., Pareto’s sociological maximum of utility of the community and the theory of the elites, in J. G. Backhaus (ed. ), Essentials of Fiscal Sociology. Conceptions of an Encyclopedia, Peter Lang, Frankfurt am Main, 2013, pp. 231–265.